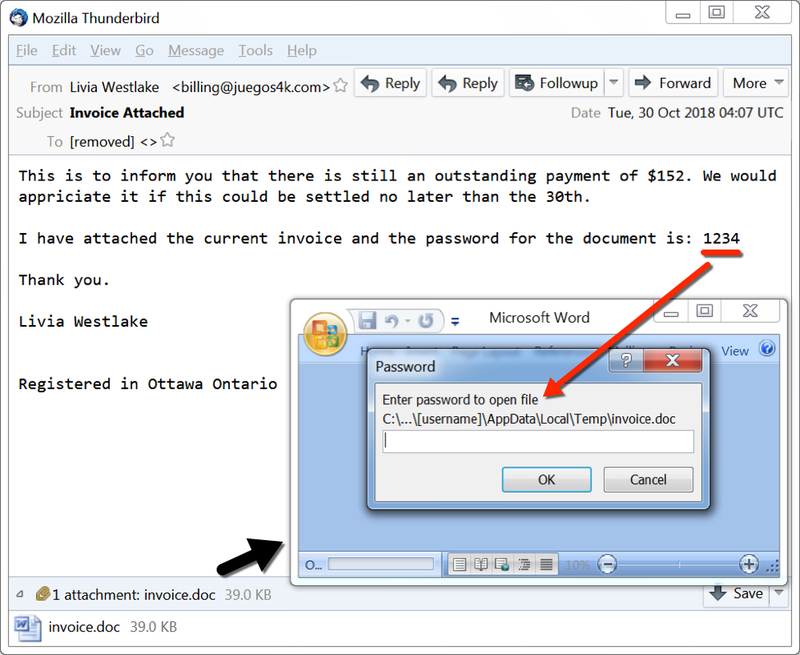 This diary reviews an example of malicious spam (malspam) using password-protected Word documents to distribute Nymaim on Tuesday 2018-10-30. Background: Since March 2013, I've documented several examples of malspam using password-protected Word documents to distribute malware. Previously, this malspam pushed various families of ransomware. In August 2018, this malspam switched to pushing Neutrino malware. By September 2018, this campaign started pushing Nymaim. Last week on 2018-10-26, this campaign briefly switched to pushing GlobeImposter ransomware, but this week it's back to pushing Nymaim. Now let's review my most recent infection from Tuesday evening on 2018-10-30. Shown above: Flow chart for infections from this malspam campaign. The emails all have spoofed sending addresses, and recent messages are either resume-themed or invoice-themed. The most recent emails I've seen are invoice-themed with invoice.doc as the file attachment. These emails are currently sent from servers residing in the 176.119.6.0/24 block of IP addresses. This block appears to be administered by MultiDC, a hosting company based in the Ukraine. Passwords for the attached Word documents have been 1234 for several weeks now. Shown above: An example of malspam from this campaign. 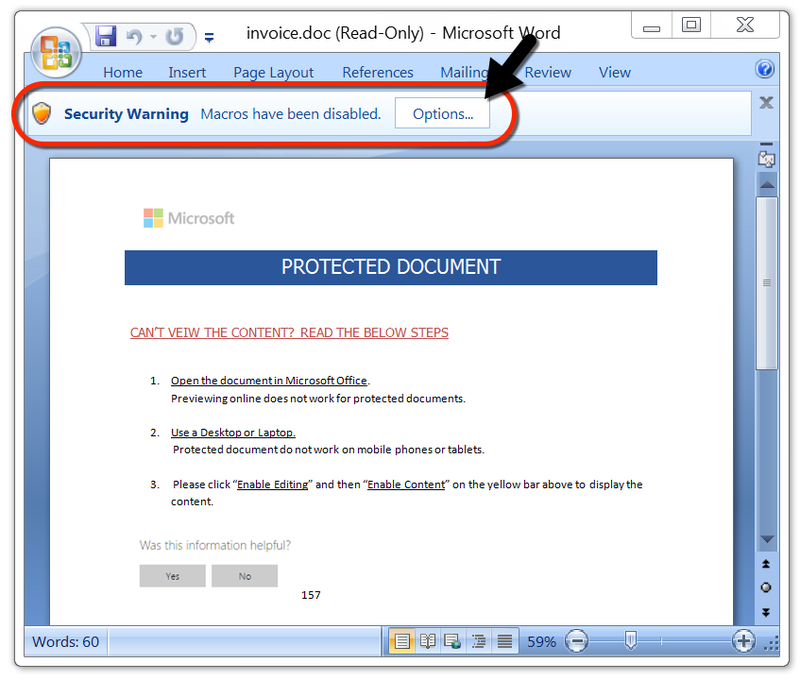 After a victim unlocks the password-protected Word document, it shows a message asking readers to enable macros. Macros on this Word document will download and install malware on a vulnerable Windows host. Shown above: An unlocked Word document waiting for its victim to enable macros. 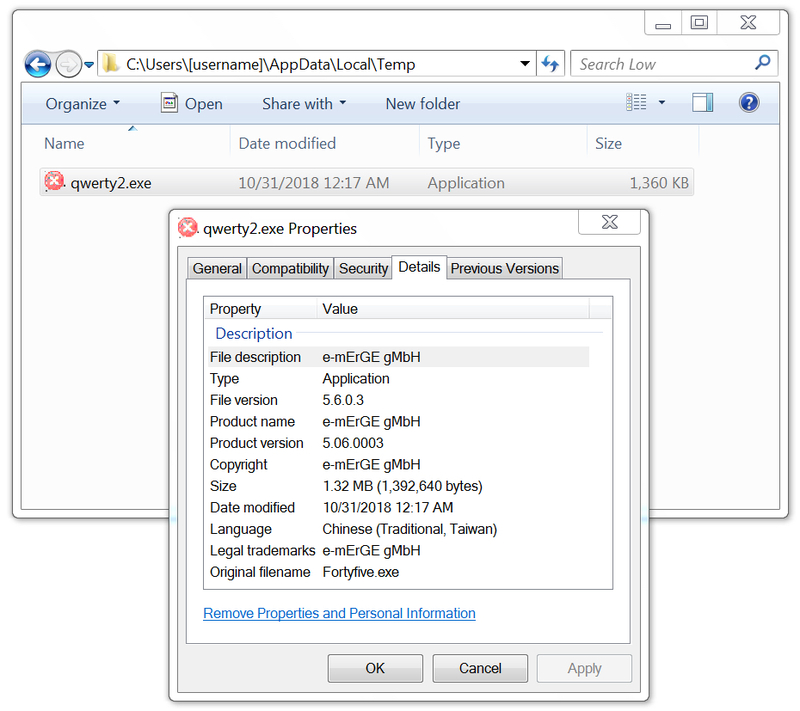 The Word macro retrieved a Windows executable from 209.141.60.230 and saved it to the user's AppData\Local\Temp directory as qwerty2.exe. In this case, qwerty2.exe was Nymaim. The malware deleted itself after follow-up Nymaim executables were installed and made persistent on the infected Windows host. 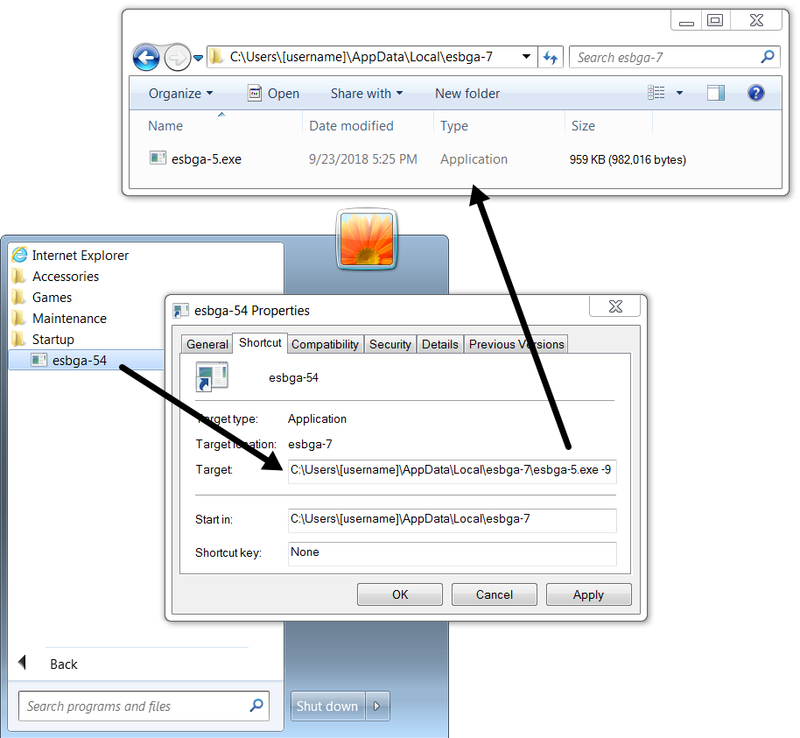 Shown above: Initial Nymaim executable that deleted itself after the infection. 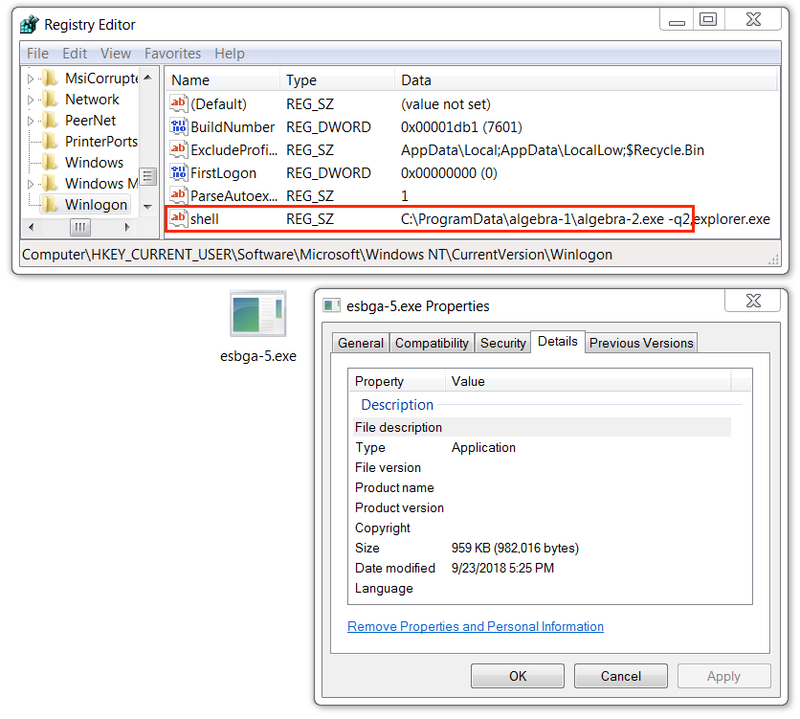 Shown above: Follow-up Nymaim executable (1 of 3) made persistent through the Windows registry. 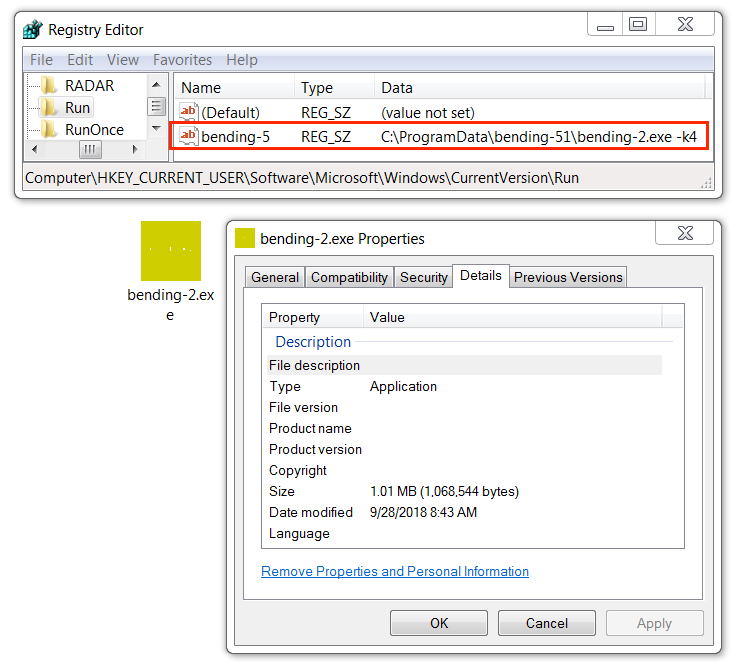 Shown above: Follow-up Nymaim executable (2 of 3) also persistent through the Windows registry. Shown above: Follow-up Nymaim executable (3 of 3) persistent through a shortcut in the Windows Startup folder. Network traffic was typical for Nymaim infections I've recently seen. This malware spoofs legitimate domains carfax.com and zepter.com but uses different IP addresses based on DNS queries for other domains. Nymaim uses Google DNS to query IP addresses on actual malicious domains. 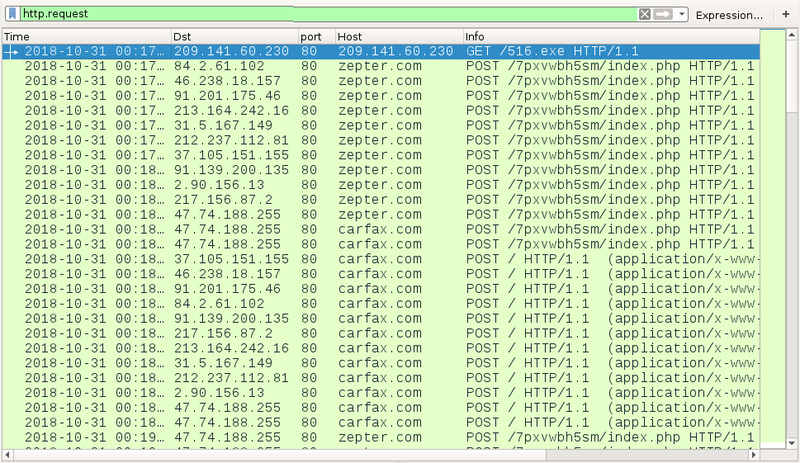 In most cases, IP addresses from those DNS queries are not directly used by the infected host for spoofed traffic to carfax.com and zepter.com. Ultimately, info returned by these Google DNS queries is used by Nymaim to calculate or determine the actual IP addresses used in its post-infection traffic. People should understand that Carfax and Zepter are not involved with this activity. Of note, the infected Windows host also made DNS queries through Google DNS for google.com and microsoft.com. Shown above: HTTP traffic from the infection filtered in Wireshark. Shown above: DNS traffic used by Nymaim to determine IP addresses used for spoofed traffic to carfax.com and zepter.com.